There is no better 4S LiPo battery upgrade than this if you're looking for the ultimate combination of power and run time for your Unlimited Desert Racer. 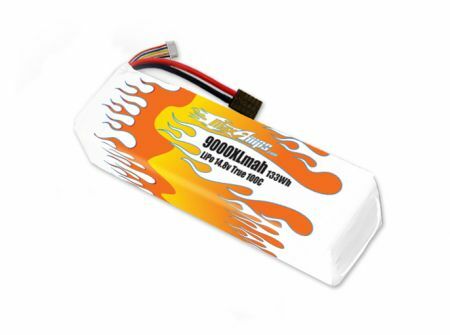 Long run times with 9000mAh of capacity while holding incredible voltage under load. Note: You must remove the battery wire guide for this battery to fit properly.